Before we get started: With Contena you can easily browse and search thousands of remote writing jobs across the internet. 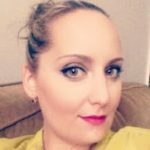 You can create a Contena account here. Millennials get a bad rep.
We’ve been called lazy and entitled, to name a couple of my “favorite” descriptors. What’s not being talked about is how millennials are crushing it when it comes to freelancing. We’re a different type of generation, especially when compared to Gen-X and Baby Boomers. Millennials have a specific set of skills (channeling Liam Neeson a little here) and value systems that set us apart from our older counterparts which make us a perfect fit for freelance work. In a recent study, it’s been shown that 38% of millennials are freelancing, which is higher than any other age group. You may be wondering why this is. Keep reading, and we’ll explain exactly why freelancing is a perfect career move for millennials. Unlike older groups, we grew up with the Internet. For many of us, we saw the rise of technology and grew along with it. We became the very first of the digital natives if you will. For that reason, we have been dubbed the most connected generation in history. No other generation before us has been able to be in constant communication around the globe with the ease millennials have (which I’ll admit, at times can be a drawback). We’ve learned how to connect daily with peers, co-workers and industry leaders, all through our beloved technology. This constant contact, along with a deep understanding of technology, has allowed millennials to become masters of not only the technology age, but the social media age as well. Social media has grown way past being a fun way of communicating with friends. From matching you with ideal employers to networking, social media has really grown up. Social media, across all platforms, has blossomed into an indispensable business tool. It’s become a new avenue for businesses to market themselves, their products, and their services. There are apps by the dozen to help network with professionals in your field. With social media now a prominent business tool, those who understand it best, hold the keys. We value connections, are adept in all things Internet, and have a deep understanding of social media. All these qualities put us millennials in an excellent position to excel in the freelance world. Though some love to label millennials as “entitled,” I see us more as “self-empowered.” We are capable of (and willing to) follow our passions, go into business for ourselves, and make a living doing so. Starting your own business used to be a very costly undertaking. I don’t blame other generations for being wary of taking that on. Nowadays, however, if you have a computer and access to the Internet, you can start a business. Armed with laptops and a Wi-Fi connection, millennials can go into business for themselves with less risk than ever before. Not that we’re totally risk-adverse (more on that later) but we can spend less money on starting up, which makes a move to freelancing even more accessible. Millennials are also less likely to want to engage in the whole corporate-ladder-climb. While we do understand it takes time to rise to the top of your field, we’re looking for ways to get to where we want to be without sacrificing our happiness. Before you go calling us the “I-Want-It-All-And-I-Want-It-Now-Generation,” hear me out. It all comes down to the quality of life we strive for, which brings us to our next point. The old adage “Work to Live, Live to Work” is one that millennials just won’t subscribe to anymore. We get it; you need to make money to live. We just want a better way to do it. Millennials are leaving the “9-5 grind” in droves, not because we’re unhappy with the pay, but because we are dissatisfied with the culture. As a generation marked by wanting to make a change, we’ve started with our own lives. Commuting, office politics, and strenuous work hours may be for some people, but millennials seem to be looking for a better work-life balance than those before us. How better to break the monotony of office life than with the flexibility and freedom of freelancing? Before the boom of the Internet and technology, freelancing was something that was profitable for only a few specialized career fields. But, boy, how times have changed. Freelancing has gone from a fad to an ongoing trend. Things have changed so much so that companies have now been changing their internal structures to support this influx of freelancer workers. Where freelancing was formerly seen as a side-gig-only kind of work, this day and age has brought about a whole workforce of full-time freelancers. In fact, in the last five years, freelancers have seen a 50% increase in their earnings, which makes freelancing a genuinely viable and rewarding career option for many people. While some have classified millennials as risk-adverse, I disagree. We’ve watched the world change (9-11, war, the Great Recession of 2008) and have learned how to adapt. Many of the events we watched unfold have shaped the way we think about life and money; there’s no denying that. For example, after seeing stock markets crash, we can be unapologetically wary of investing. But we’ve also learned that life is short and ever-changing, and ultimately, up to us. In a world where companies (and banks) merge, fail and go under, financial stability is a far-off dream. 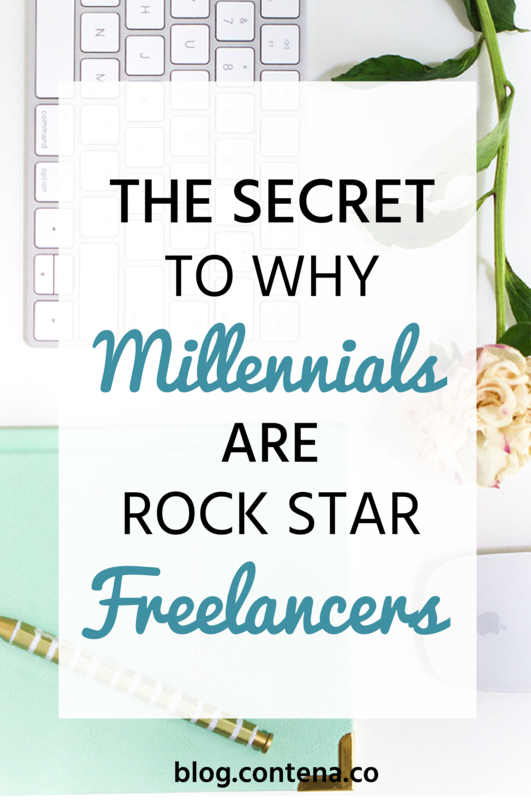 Taking a risk on a job with a start-up company and taking a risk of starting off as a freelancer is essentially the same thing to a millennial. That sense of a firm financial footing that generations before us have had is something of the past. We’re now seeing more and more millennials using freelancing as a way to either supplement or replace their 9-5 income. Millennials are perfect for freelancing because we find a way to thrive on uncertainty, by making a path for ourselves. We’re not waiting around to be handed opportunities. We make them for ourselves. Freelancers don’t show up at an office each morning with a set schedule of tasks handed to them. We continuously pitch for new jobs and clients. We have good weeks and bad weeks (or months). I like to think of the uncertainty as the price we pay for our desired quality of life and our balance between life and work. While not always easy, striking it out on your own is sure rewarding. Millennials are also defined by our interest in a diverse number of areas. The flexibility of freelancing affords us opportunities to pursue different avenues of interest, while still focusing on our careers. It also makes us more attractive as potential hires. Clients want to hire jacks-of-all-trades; people with more than one interest or perspective are a hot commodity. Long gone are the days of being pigeonholed into one field in which you’ll stay until retirement. As a writer, my interests are constantly evolving, as are my clients. I may write for particular niches in which I specialize but no two days of work is ever the same. One day I can be writing about freelancing as a career and the next writing about home design. As my own boss, I can decide how to schedule my work day. Some days, I split my working hours between client work and my passion project (I will finish my novel!). Setting your own hours is a massive perk of freelancing. Without the pressure of a time clock governing our days, we’re left open to exploring different avenues and industries at our leisure. Please don’t get this confused. I’m by no means saying we schedule our working hours solely around video games and Netflix. Freelancers don’t work less. Let me repeat for those of you in the back; freelancers don’t work less. In reality, we tend to work more than our office-going counterparts. I’m merely saying that we control our work schedules, not the other way around. The beauty of freelancing is that you can do it full-time, part-time, or even just on weekends. It’s all up to you! I can take another job or spend time with my family and still work my writing business in my free hours. With freelancing, I’m not locked into 9:00 AM to 5:00 PM (unless I want to be). No matter how many monikers or stereotypes we millennials amass, there’s one undeniable truth: Millennials are the future of the workforce. While the “traditional” workday we’ve come to know and love (or hate) isn’t going to disappear anytime soon, you do have other options. If you’re a millennial reading this, consider a looking into freelancing, even if just on the side at first. Getting started as a freelancer as a millennial is not as hard as you think. (We even wrote a post just for you about what you need to know!!). You may just find it changes your life. And, if you’re an employer, find yourself a freelancing millennial; we’re an asset your business can’t afford to pass up.